25978 miles. Soul Red metallic with Black cloth and Red seat stitching. Specification: 7 inch touchscreen, multimedia commander, colour navigation system, bluetooth interface, DAB digital radio, climate control, multi-function steering wheel with cruise control, fully electric 2-piece hardtop, LED headlights with adaptive front lighting, automatic headlights and wipers, 16 inch alloy wheels and more. 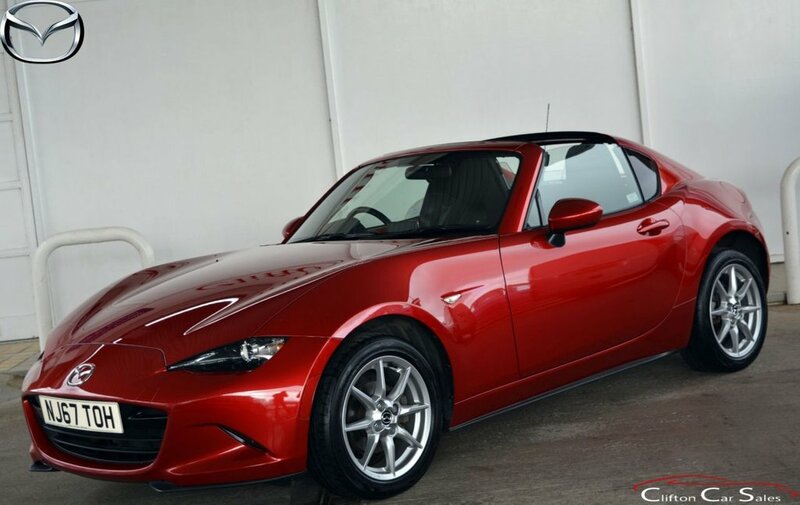 One private owner from new with full Mazda main dealer service history (2 records and very recently serviced) and carries balance of manufacturers warranty to September 2020. Original handbook pack and two remote keys. Summer fun!